The TX-E Series Flood/Freeze Sensor from Interlogix® is a small, non-obtrusive device that alerts users when water is detected or if the surrounding area’s temperature drops below a set point. 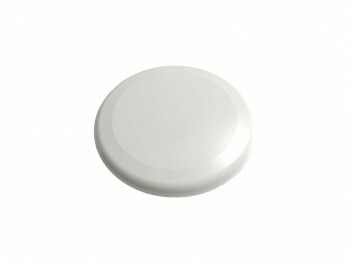 Due to its small size, the sensor can be placed under sinks, toilets or near hot water tanks making it ideal for high risk areas and reducing the potential of environmental risks. Within two seconds of detecting water, the TX-E Series Flood/Freeze Sensor transmits an alarm notifying the user of a water leak or possible flood. The freeze detection feature also reduces the possibility of pipes freezing by transmitting an alarm notification if the temperature in the surrounding area drops below 42 degrees Fahrenheit.